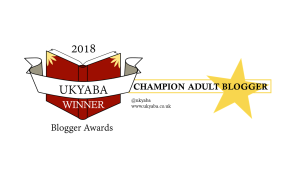 I am delighted to welcome Andy Briggs back to the blog today as part of his ‘Black Knight’ blog tour with a special guest post. 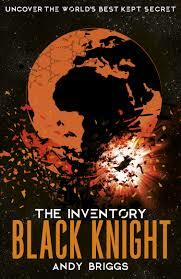 ‘Black Knight’ is the third book in the fast paced ‘ The Inventory’ adventure series, packed with high-tech thrills and excitement. After an ancient artefact is stolen from a museum, Dev and his friends worry that someone is trying to trigger a spectacular, long-forgotten weapon: the Black Night. Is criminal network Shadow Helix behind the latest raid, or is a new enemy on the rise? 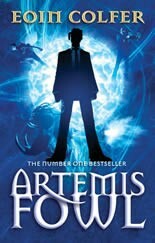 A masterpiece of fusing action and fantasy, all seen through the eyes of a wonderful anti-hero. What’s there not to like? Spies with attitude. Great plots weaved with typical Muchamore skill. Love ‘em! 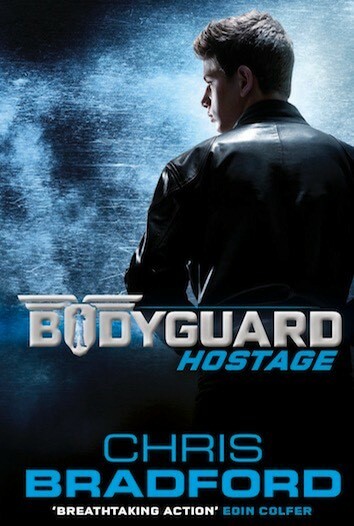 The Bodyguard – Chris Bradford. While I loved Chris’ sword-swinging samurai series, Connor Reeves won me over as the young bodyguard in this awesome series. Action, glamour that puts Bond to shame. 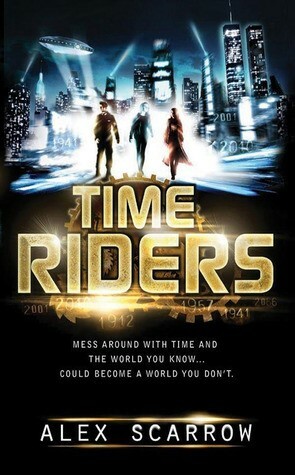 This is a super fun series – that blends time travel with heady adventure. Mind bending and thrilling. Grab ‘em now! 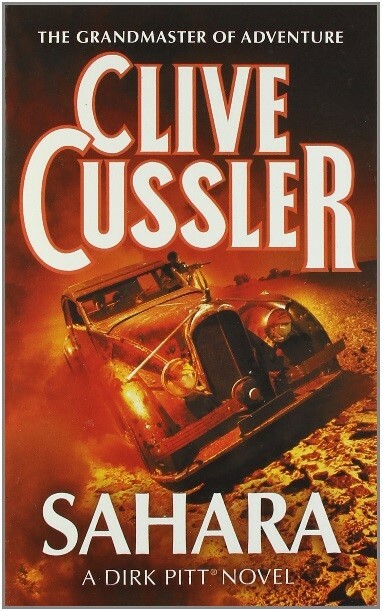 Cussler seems to have written approximately a bazillion books. Not enough in my view. They are wonderful edge of your seat adventure books that fuse stunning action with global adventure. A perfect read for a beach – and I thoroughly recommend his Dirk Pitt series. Pure joy. 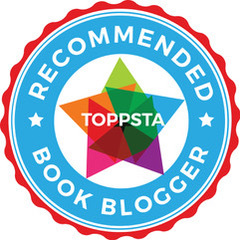 A huge thank you to Andy for stopping by the blog today with a brilliant list of recommendations. 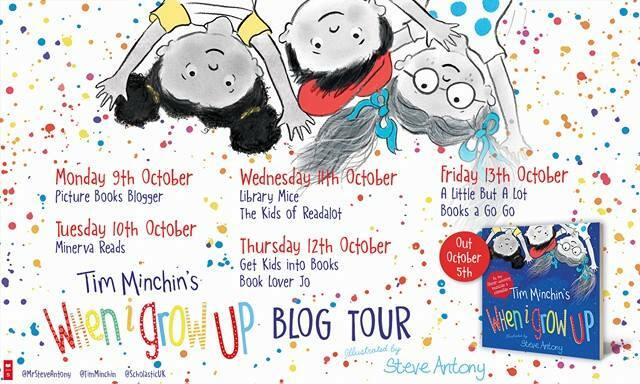 Thank you also to Scholastic for inviting me to join in with the blog tour and for sending me a copy of this fantastic book, I can’t wait to put it in my school library! This entry was posted in Uncategorized on April 25, 2017 by bookloverjo. Being huge fans in my house of Sibéal Pounder’s fabulous ‘Witch Wars’ series, I was delighted to do the cover reveal for the first book in her new series ‘Bad Mermaids.’ So you can imagine the squeals of excitement when an early copy landed on our doormat one morning, only for it to disappear into my daughter’s bedroom who claimed the first read of this much anticipated book. I eventually persuaded her to give my the copy back so that I could share it with you and having read it, I now know why she didn’t want to give it to me back, because it’s just glorious. Mermaids Beattie, Mimi and Zelda are enjoying what you might call a ‘legcation’. An idea put in place by the Queen of the Lagoon Arabella Cod to stop young mermaids spending all their time dreaming of having legs and living on land – yes Ariel has a lot to answer for! They’re enjoying their summer on land with legs when they receive a strange Crabagram ordering them to return home at once cutting their holiday short. Instructed to return to Swirlyshell by the back pipe entrance they are confused, only to discover the reason why! There are bad mermaids on the loose and only they can stop them! 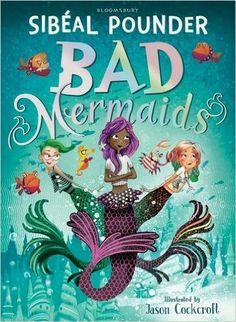 I absolutely loved ‘Bad Mermaids’!Sibéal has constructed this zany underwater world of The Hidden Lagoon that she realises with the most wonderful and hilarious details. Who wouldn’t want a clam car with sculpted coral seats, sea-lion proof windows and a shell-studded exterior! Packed full of puns and laughs, readers will be giggling along with this seatastic tale, it really made me and my daughter chuckle. It’s a real page turner, as this fast paced and exciting tales whizzes us around the lagoon with our fabulous heroines, who are trying to evade the evil piranhas as they hunt for Arabella Cod who has mysteriously disappeared. With twists and turns aplenty, it becomes apparent that this is no easy mystery to solve. Just when you thought it couldn’t get any more marvellous, then along comes Jason Cockcroft with the most sublime illustrations capturing the energy and humour of Sibéal’s story brilliantly. Unfortunately I have only seen a proof copy so I’m really excited to see the completed version with the final illustrations inside. If you love magical mysteries, fabulous fashion, and loathsome baddies then this is the book for you! I predict this new series will be a triumph, it gets a huge thumbs up from me and my daughter and I can see it being an instant hit in my school library. This entry was posted in Uncategorized on April 23, 2017 by bookloverjo. 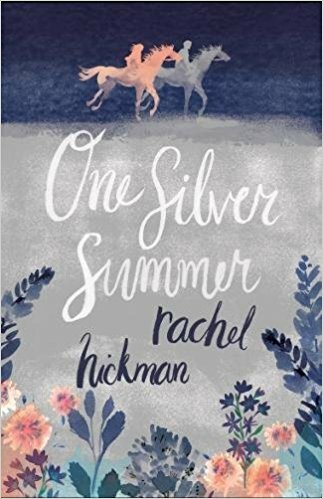 ‘One Silver Summer’ by Rachel Hickman is a gorgeous teen romance that will whisk you away to a windswept Cornwall for a modern day, fairy tale that is bound to delight. Sass is sent away to live in Cornwall with her Uncle after the untimely death of her mother in a car accident. Consumed by grief she seeks solace in the outdoors traipsing over Cornish hillsides and scrambling through rocky shores desperate for solitude. When she spies a silver horse in a quiet meadow, they make a connection and this fragment of stillness bring her a moment of happiness. Feeling like she has found a friend, for the first time she feels at peace only for it to be shattered by the appearance of a boy called Alex who is hiding a secret. I was really intrigued to read ‘One Silver Summer’ because I have an 11 year old daughter who just adores romantic stories but I struggle to find anything suitable for her. And yes this fitted the criteria wonderfully and I was totally entranced and captivated by this beautiful, romantic story. It’s really refreshing to have a book that is suitable for teens which is clean enough but also ticks all the boxes in terms of having a thrilling and interesting storyline outside of the romance. It is the kind of book that I would have loved to have read growing up because it does – without giving away and spoilers – fulfil one of those magical dreams that you may have had of stumbling across your dream man in real life. (For me I have to say it was Joey from New Kids on the Block -(if you’re 30 or under you may need to Google him). The relationship that develops between Sass and Alex is like all the very best of stories beset on all sides with problems, the path of true love never does run smooth. 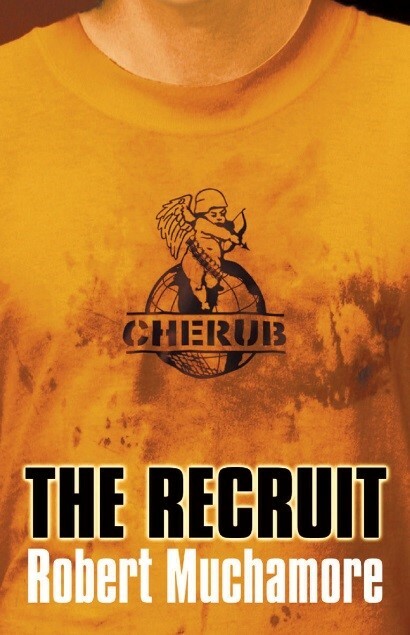 With an unexpected and dramatic ending there is plenty of action to keep the reader engrossed and entertained. A glorious novel that explores the pain of loss perfectly, whilst capturing the all consuming excitement and torment of first love. ‘One Silver Summer’ is now available to pre-order online or from any good bookshop. Thank you to Old Barn Books for sending me a copy of this glorious book to review, watch out for a special guest post from Rachel Hickman next month on the blog. This entry was posted in Uncategorized on April 21, 2017 by bookloverjo. For every parent who is about to embark on a long journey, activity books can offer a lifeline and help delay the inevitable ‘are we nearly there yet?’ They can also provide an inexpensive way to keep children amused on a rainy day. But when you walk into any bookshop you will be faced by a huge variety to choose from, how do you decide which ones will manage to captivate your child for more than half an hour. Me and my girls decided to test out a wide variety of books to see if they kept us entertained. This is an activity book guaranteed to have your children engaged and enthralled. First, children discover how artists think, research and experiment, then they try art projects for themselves. If like me you struggle to be creative with your children and the thought of pva glue, tissue paper and paint turns your mind to jelly then this is the book for you. Combining clear visual instructions but still allowing children’s imagination to roam free, it invites them to create unique artworks and join in with fun activities. It also helps encourage children to make their own creative decisions, giving them the confidence to express themselves and experiment with a wide range of media including painting, sculpture, photography, costume design, illustration and many more. 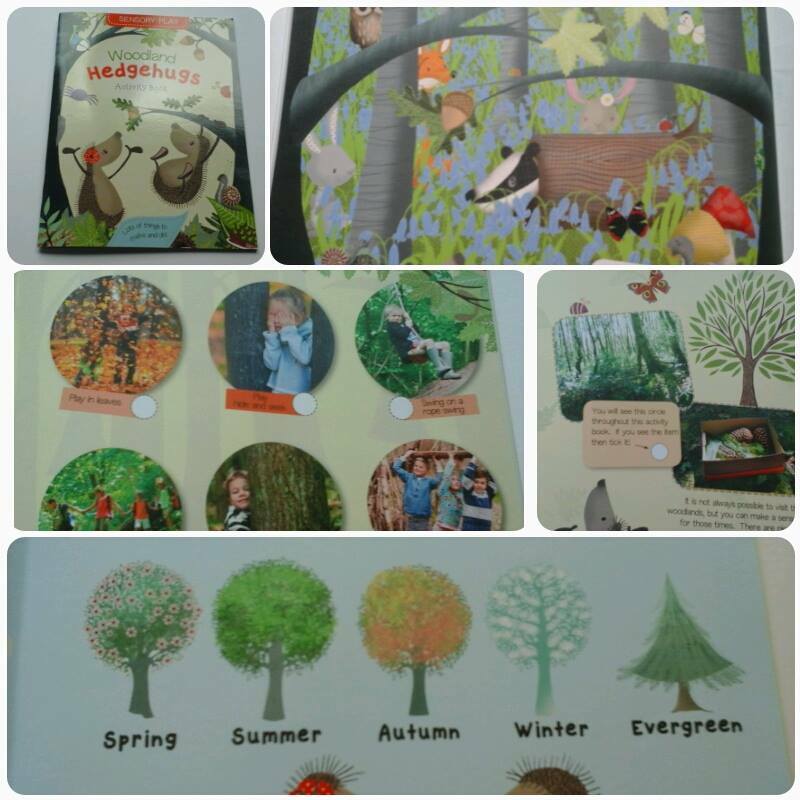 I’m a big fan of the lovely Hedgehugs books, so I was delighted that Maverick Books had produced a gorgeous activity book which encourages children to explore the woodlands together with Horace and Hettie. I love how this combines inviting children to go outside, with rainy day activities for when it’s just too wet to brave the big outdoors. Children can go on a bug hunt, collect a rainbow of leaves, crunch through leaves and build a den. There is so much to do and see with this lovely book it’s a perfect way to coax children into the great outdoors on a woodland adventure. Perfect to keep younger children amused on a long walk and provide lots of fun activities for when they get home. 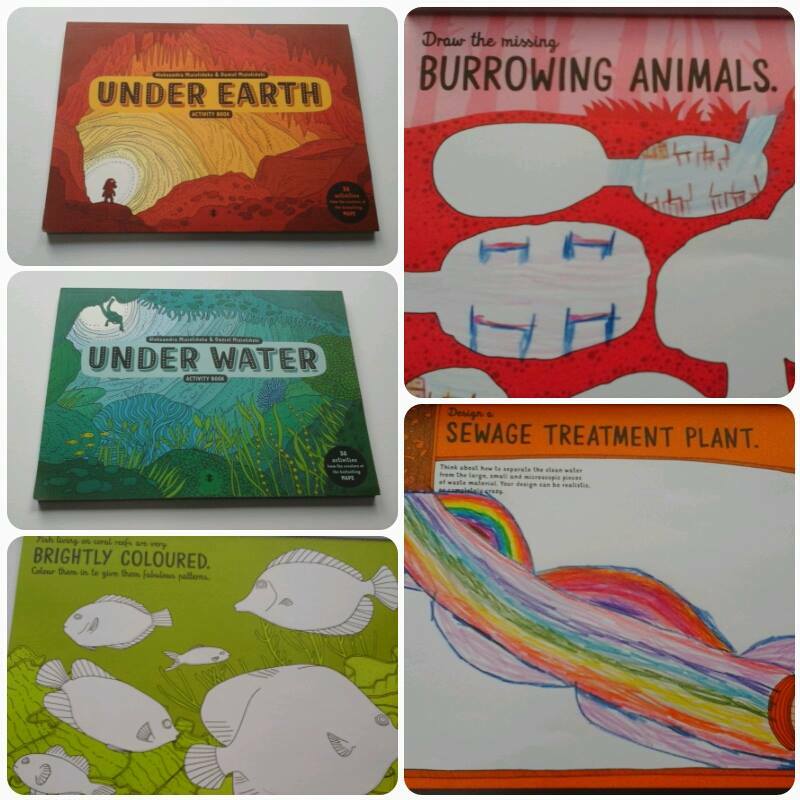 Me and my girls absolutely loved ‘Under Earth, Under Water’ so we were really excited to receive these companion activity books in the post, just in time for the Easter holidays. Packed full of facts and activities these activity books will keep children amused for hours on end. In ‘Under Earth’ you can complete a dinosaur skeleton, visit an underground city and pack passengers into the Tokyo subway. Come on a drawing expedition in ‘Under Water’, create your own coral reef, find the shortest route through the wreck of the Titanic and wrestle with the tentacles of a colossal squid. Gloriously illustrated, these books will capture your child’s imagination and help them find out lots of fascinating facts on the way. This is the gorgeous Easter treat, so if you’re looking for an alternative gift to chocolate this is the activity book you need. 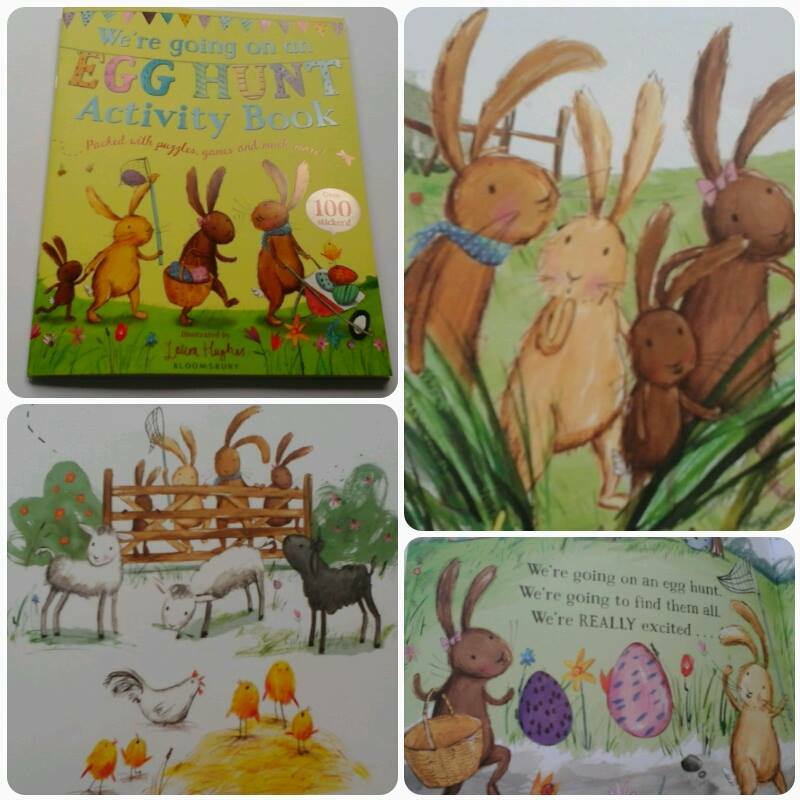 Accompanying the beautiful picture book ‘We’re Going on an Egg Hunt’ sublimely illustrated by Laura Hughes, this book is packed with puzzles, stickers, games and much more. Join in the fun with the Easter Bunnies as they play hide and seek, make their way through mazes, help animals find their way home as they go about on their Easter Egg Hunt. Pitched perfectly for younger readers they will love decorating eggs, completing word searches and making Easter bunting. 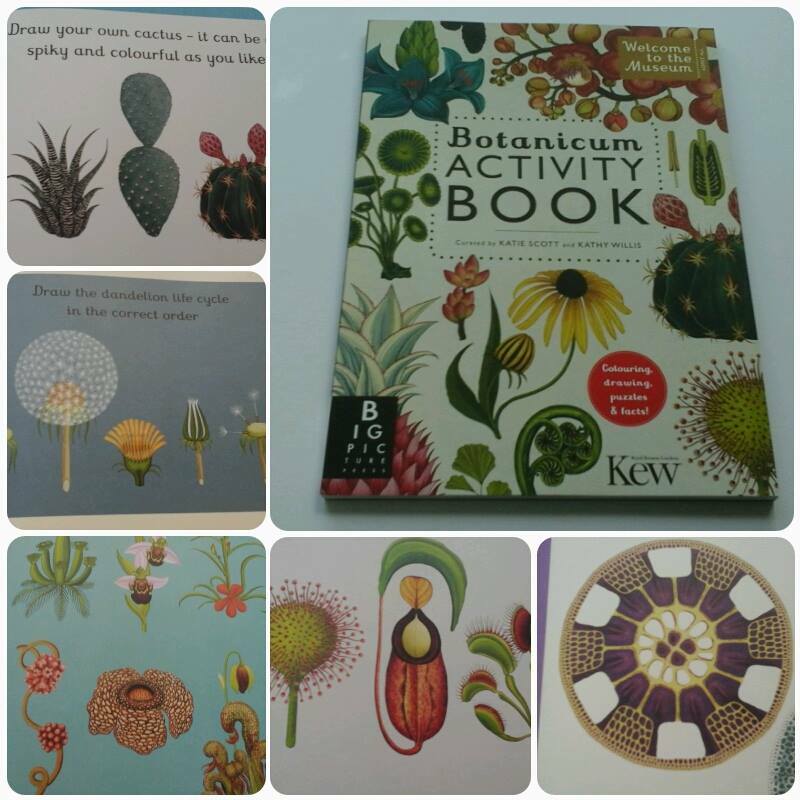 ‘Botanicum‘ is back and this time Katie Scott & Kathy Willis have produced the most sublime activity book. Bursting with fascinating facts and puzzles, this book offers hours of entertainment to artists and nature lovers, young and old. 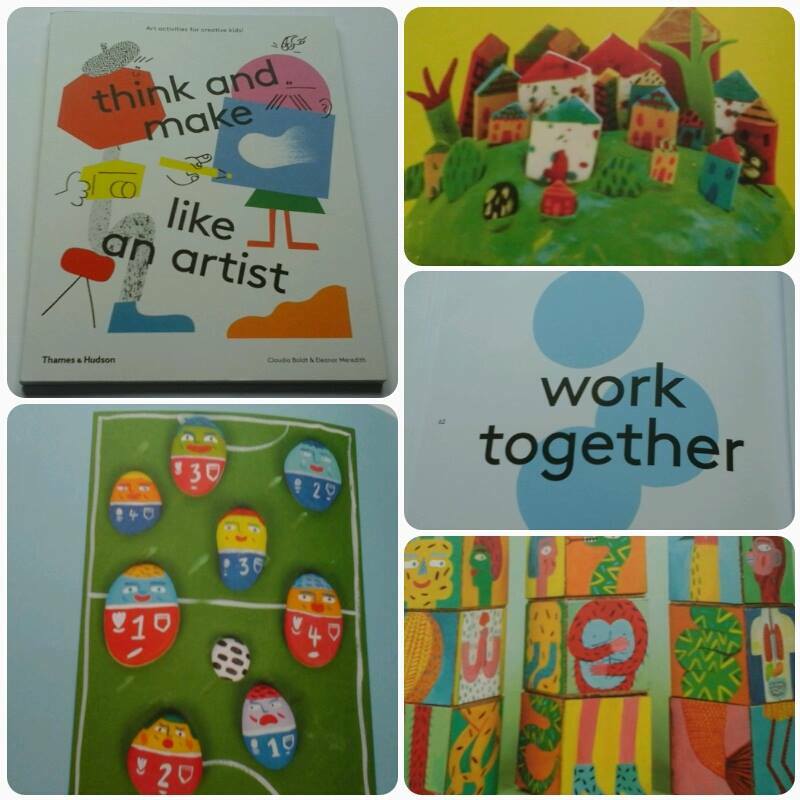 Featuring a myriad of activities it challenges the reader to discover something new and use their imagination to draw, decorate and design. Like ‘Botanicum’ this divine celebration of plants features a colourful array of intricate and dazzling illustrations combined with comprehensive botanical knowledge. An absolute joy of an activity book. Thank you to Big Picture Press, Bloomsbury, Thames and Hudson and Maverick Books for sending me copies of these amazing activity books. This entry was posted in Uncategorized on April 10, 2017 by bookloverjo. 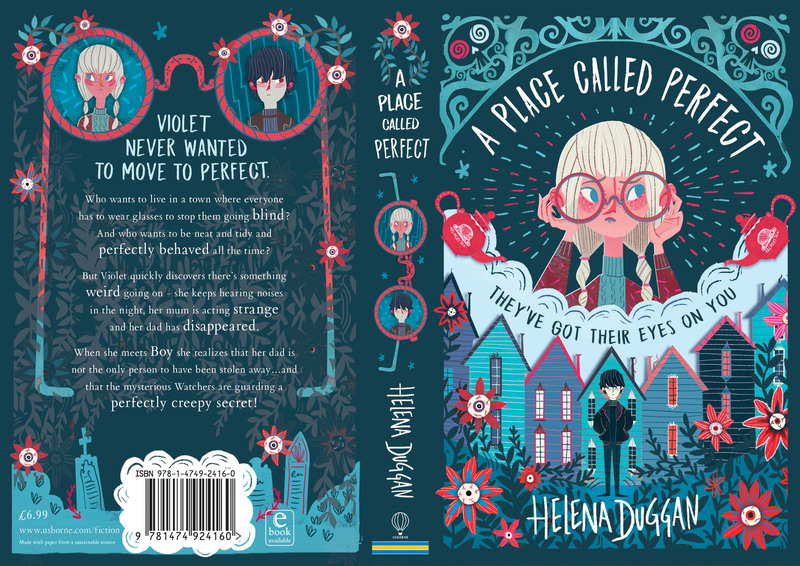 I’m really excited to be able to reveal for you today, the cover of the Helena Duggan’s debut novel ‘A Place Called Perfect’, which will be published on the 1st August by Usborne. This stunning cover has been designed by Katharine Millichope at Usborne, and illustrated by the brilliant Karl James Mountford. I love how this animated cover hints at the darkness that lies within the pages and capturing the creepy feel of the novel. To find out more about ‘A Place Called Perfect’ we chatted to the author Helena Duggan, the illustrator Karl Mountford and Anne Finnis the Fiction Deputy Editor at Usborne. 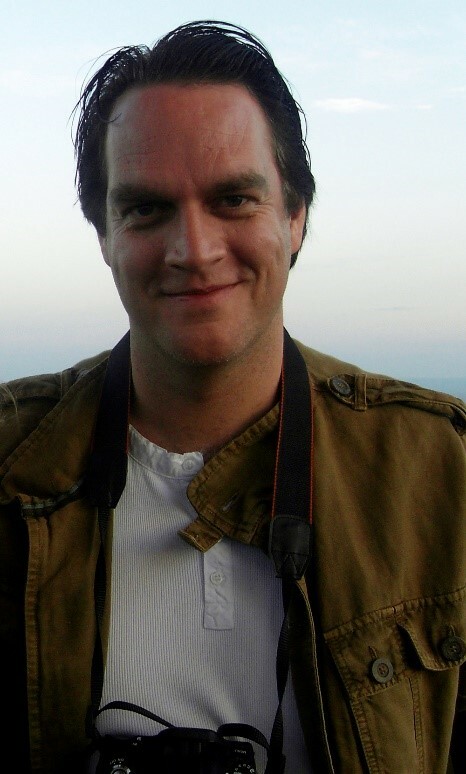 “Getting published was a childhood dream but to do it with Usborne has been amazing. I always had this idea of the big scary publisher. Possibly because I write children’s books, publishers in my imagination, looked like something from a Fairytale. Giant people, behind giant desks, in pin striped suits, with long pointy noses and glasses balanced precariously off the end. My experience with Usborne has been nothing like that, although quite a few in the office do wear glasses! I’ve enjoyed every step of my publishing journey so far, it’s been an education and I just hope A Place Called Perfect will be received as warmly with readers as it has been with Usborne. There’s something very wrong in Perfect but the adults are too blind to see it. What I love about this spooky adventure is that Violet and Boy refuse to be duped by the villains who rule over Perfect and courageously set about uncovering a perfectly creepy plot. The story is hugely inventive, child-friendly and eyenormously fun, but at its heart is a pertinent message about the power in all of us to resist the bullies who would have us follow the herd. 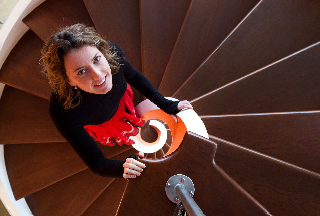 Helena Duggan is from Kilkenny, a medieval, haunted city in the south of Ireland, which was the inspiration for Perfect. She writes stories full of adventure because she gets bored really easily. She’s also a graphic designer and illustrator. A Place Called Perfect is her first book. Thank you to Stevie at Usborne and Helena for inviting me to host the cover reveal. ‘A Place Called Perfect’ is available to pre-order from all good bookshops or online at Amazon. This entry was posted in Uncategorized on April 5, 2017 by bookloverjo. I’m a huge fan of illustrated fiction books, they are perfect for newly confident readers allowing them to gain confidence without being overwhelmed by pages of text. 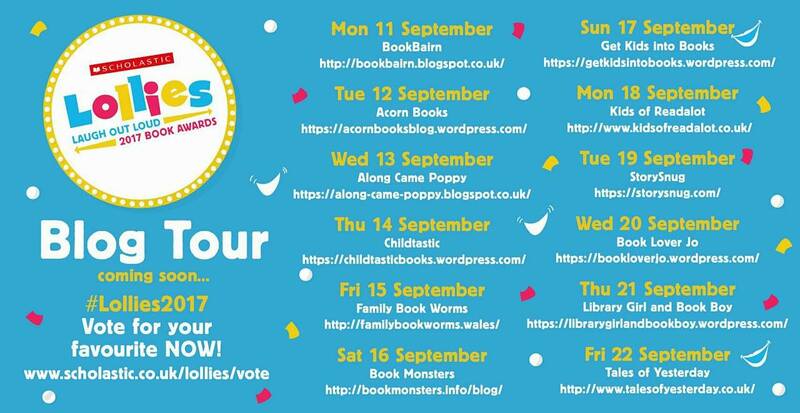 Here is my round up of my favourite recent reads all guaranteed to enthral and entertain younger readers. They would make wonderful additions to any primary school library. 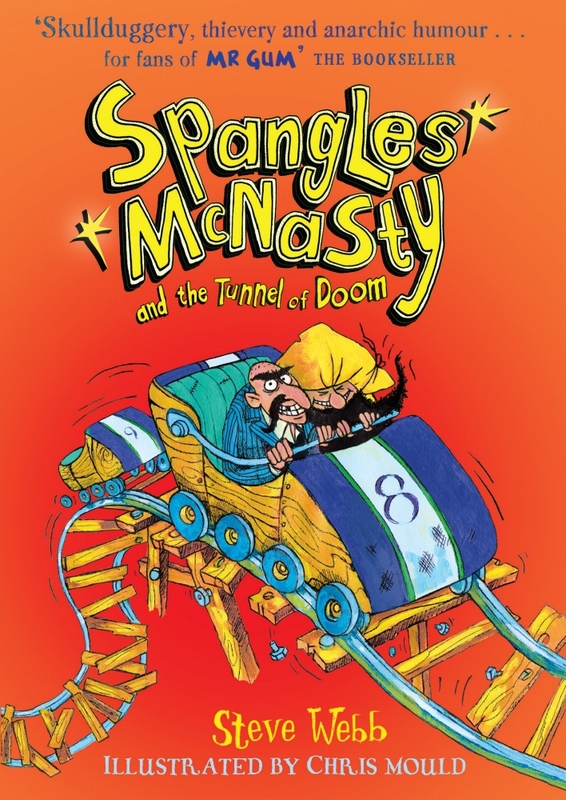 Spangles McNasty is back in a bonkers new adventure as we head back to Bitterly Bay to see what mayhem and madness Steve Webb has in store for us. When wicked Spangles McNasty inherits a rollercoaster called the Tunnel of Doom, he thinks all of his greedy dreams have come true. But soon he realises that it’s a good-for-nothing piece of junk. With the help of his best friend Sausage-face Peter, he come up with a new loopy, gold-grabbing plan. It’s up to local boy Freddie Taylor to Stop Spangles in his tracks! This book is another fantastic, crazy read which is sure to captivate readers with its quirky, eccentric characters who will whip you up into a frenzy and throw you around like the bumpiest of fairground rides. Combined with Chris Mould’s brilliantly humorous illustrations which capture the confusion and sheer hilarity of the story, this book is hugely appealing and entertaining. Who could resist this marvellous, madcap adventure? It is ideally suited for children who love gloriously silly details and horrible baddies. A truly wonderful collaboration which will leave you wanting more! Lil, an ordinary schoolgirl by day. 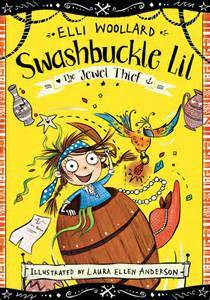 But – unknown to her classmates – under her jumper and vest she is in fact a swashbuckling pirate, who spends her weekends travelling the seas with her trusty sidekick, Carrot the parrot. Featuring two new adventures from Lil, The Jewel Thief’ and ‘Party, Me Hearty!‘, this book finds her trying to outwit her arch enemy, the mouldy and smelly Stinkbeard. Lil has to try and thwart his dastardly plans. to steal precious jewels at the museum and to find his hidden stash of gold coins.This brilliantly entertaining read will delight newly independent readers. 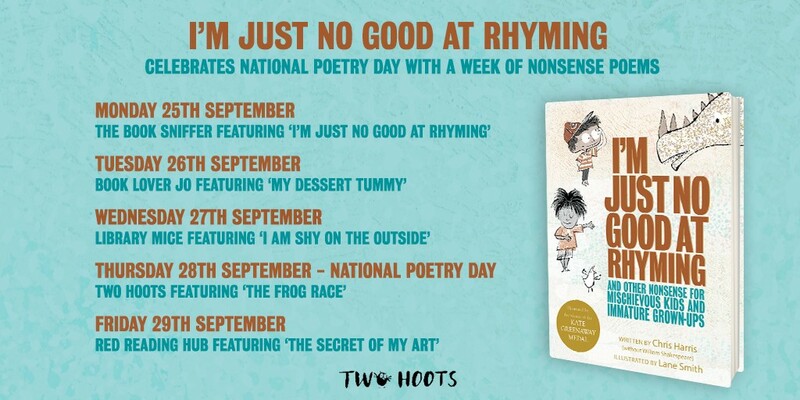 The words bounce off the pages in bold and hilarious rhymes that make the book a joy to read. Laura’s illustrations are lively and engaging, capturing perfectly Lil’s spirit and energy as she finds herself constantly in trouble, causing much chaos and confusion as she tries to save the day. Elli has created a character who will be widely appealing to children, and the stories have just the right mix of gruesomeness and revoltingness. It is guaranteed to have children laughing out loud as they get caught up in Lil’s adventures. Pug and his faithful companion, Lady Miranda are back for another adventure stuffed full of misunderstanding and mayhem. They’ve saddled up and are going to be cowboys for the day – and after a slight mishap they need to go horse trading. But Pug as ever is not so sure, there might be bandits, but then again there might be candyfloss. Unable to resist the thought of another tasty stack they find themselves unwittingly caught up in a chaos and confusion when they take Horsey to the show. Can Pug take the reins when Lady Miranda lands on the wrong side of the law. 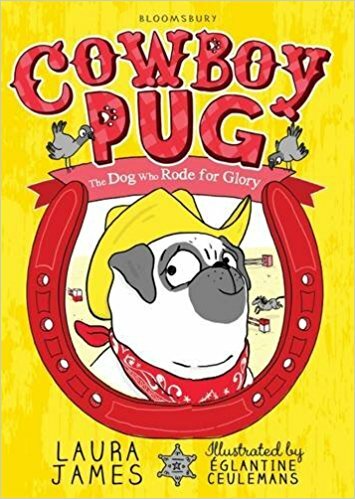 An irresistible tale that is sure to delight younger readers featuring the most brilliant, courageous and wonderful dog Pug who has a penchant for finding himself in the most peculiar of places. Églantine’s illustrations are bright, bold and full of humour and energy providing the perfect accompaniment to Laura’s endearing tale. Lottie Parsons never wins anything at school because big-shot Penelope Pembleton-Puce always finds a way to the top, not caring who she tramples on her way to success. Struggling at home with a mother who is more concerned with what level she is trying to complete on Liquorice Legend than the needs of her daughter, Lottie has no option but to care for herself and her family. So when a project is set at school she expects to fail miserably knowing she won’t get any help at home. But help comes in a surprising way when her aging Grandad shares with her his magic formula for growing the world’s biggest vegetables. 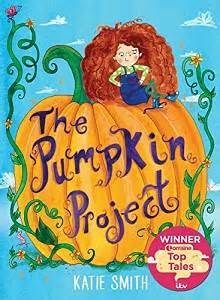 With the help of a porcupine, a Muzzlescrump machine and twelve jars of Marmite, Lottie and Gramps get to work on growing the BIGGEST pumpkin EVER! Sarah’s illustrations capture the personalities of the characters wonderfully: Penelope’s meaness, Gramp’s enthusiasm and Lottie’s excitement at the possibility of success come shining through. A heart warming tale which highlights the transformative power of love and support. Showing how a child can really bloom given the right environment, a sprinkling of positivity and careful attention just like the pumpkin. The first in a magical, exciting series by Jessica Ennis-Hill and Elen Caldecott, ‘The Silver Unicorn’ is an enchanting adventure. What if you had a magic bracelet that gave you the power to talk to animals? One morning Evie gets a special parcel in the post from her Grandma Iris in Jamaica. Inside layers of tissue and colourful ribbons is a beautiful bracelet! And the bracelet isn’t just beautiful…it shows her that there’s magic everywhere, if she can just find out how to use it. 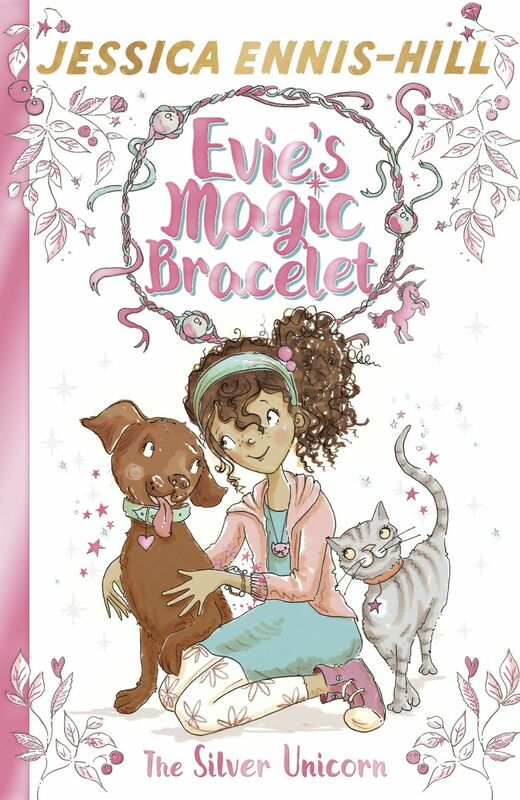 With a bit of determination and some help from her friends, Evie’s ready to have some magical adventures! Evie is an incredibly likeable character, a lively and sporty girl, bursting with unstoppable energy and enthusiasm. Erica-Jane highlights this beautifully in her warm and charming illustrations . Wonderfully diverse, we get a real sense of the place where Evie lives, with the use of local colloquialisms which rarely feature in young fiction. A gorgeous story that will be really appealing to younger reads with it’s mix of magic and everyday life. Thank you to Andersen Press, Bloomsbury and Hodder for sending me copies of these lovely books. This entry was posted in Uncategorized on April 2, 2017 by bookloverjo.